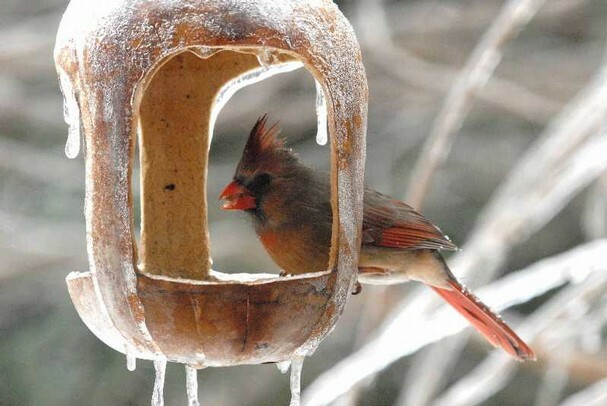 Supply your neighborhood birds with the winter nourishment they need! The dietary requirements of birds change during the winter months and vary by species. In general, birds require a high-fat diet of sunflower seeds, peanuts, Nyjer (thistle) seed or fruits and berries. Make several bird feeders by hollowing out and drying gourds to keep the types of seed or fruit separated and notice the types of birds in your neighborhood to ensure their needs are met, such as robins and mocking birds that prefer fruit or small juncos that are unable to crack the shell of sunflower seeds.